Bisley 1 Door Locker D457mm Goose Grey BY09215 Pack of 1 Bisley Locker - 1 Door. Stylish locker suitable for all environments - leisure centres, hospitals, schools, industrial and commercial premises. Complete with shelf and coat rail. Size: H1802xW305xD457mm. Colour - Goose Grey. Non returnable. 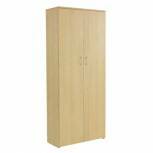 Serrion Warm Maple Cupboard W740xD340xH1750mm KF838542 Pack of 1 Large Cupboard. Accepts A4 or foolscap files. Three shelves. Dimensions: W740 x D340 x H1750mm. Colour: Warm Maple. Non returnable. 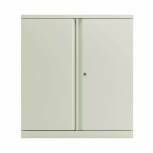 Bisley 1 Door Locker D305mm Goose Grey BY08945 Pack of 1 Bisley Locker - 1 Door. Stylish locker suitable for all environments - leisure centres, hospitals, schools, industrial and commercial premises. Complete with shelf and coat hook. Size: H1802xW305xD305mm. Colour - Goose Grey. Non returnable. 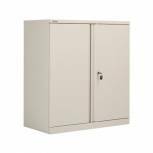 Bisley 2 Door Locker D305mm Goose Grey BY09212 Pack of 1 Bisley Locker - 2 Door. 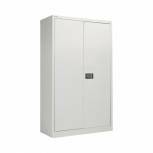 Stylish locker suitable for all environments - leisure centres, hospitals, schools, industrial and commercial premises. Size: H1802xW305xD305mm. Colour - Goose Grey. Non returnable. 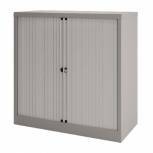 Bisley 4 Door Locker D305mm Goose Grey BY09213 Pack of 1 Bisley Locker - 4 Door. Stylish locker suitable for all environments - leisure centres, hospitals, schools, industrial and commercial premises. Size: H1802xW305xD305mm. Colour - Goose Grey. Non returnable. Bisley 6 Door Locker D305mm Goose Grey BY09214 Pack of 1 Bisley Locker - 6 Door. Stylish locker suitable for all environments - leisure centres, hospitals, schools, industrial and commercial premises. Size: H1802xW305xD305mm. Colour - Goose Grey. Non returnable. Bisley Lateral Filing Frame Black BURGY Pack of 1 Lateral filing rail for lateral filing or printout binders (using T Bars and Channels). Light Grey. Non returnable. 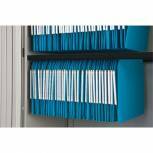 Bisley Shelf Standard Black BBS/P1 Pack of 1 Designed for use with Bisley cupboards and Tambour units. Durable.. Non returnable. 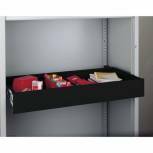 Bisley Slotted Shelf Black BSSGY Pack of 1 Designed for use with Bisley cupboards and Tambour units. Durable. Slots made for use with Bisley Shelf Dividers. Non returnable. Bisley Shelf Divider Plastic Clear BSDP5 (Pack of 5) Pack of 1 Designed for use with Bisley cupboards and Tambour units. Durable. Used with Bisley Slotted Shelves. Non returnable. Bisley 4 Door Locker D457mm Goose Grey BY02537 Pack of 1 Bisley Locker - 4 Door. Stylish locker suitable for all environments - leisure centres, hospitals, schools, industrial and commercial premises. Size: H1802xW305xD457mm. Colour - Goose Grey. Non returnable. 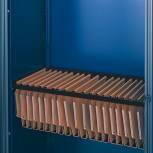 Bisley Under Shelf Suspended Filing Black BUS1 Pack of 1 Durable and long wearing. Shelf and rail for lateral filing. Ideal for lateral filing or printout binders. Non returnable. Bisley 2 Door Locker D457mm Goose Grey BY09216 Pack of 1 Bisley Locker - 2 Door. Stylish locker suitable for all environments - leisure centres, hospitals, schools, industrial and commercial premises. Size: H1802xW305xD457mm. Colour - Goose Grey. Non returnable. Bisley 6 Door Locker D457mm Goose Grey BY09217 Pack of 1 Bisley Locker - 6 Door. Stylish locker suitable for all environments - leisure centres, hospitals, schools, industrial and commercial premises. Size: H1802xW305xD457mm. Colour - Goose Grey. Non returnable. Bisley Rollout Suspension Filing Frame Black ROSFF-45 Pack of 1 Rollout suspension filing frame suitable for use in Bisley Cupboards. Colour - Light Grey. Non returnable. Bisley Rollout Drawer Black RODWR4-45 Pack of 1 Designed for use with Bisley cupboards and Tambour units. Durable. Roll-out function. Anti-tilt system. Non returnable.